We’ve all seen the t-shirts, mugs, and social media memes listing fishermen’s excuses for not catching fish. “Current is too strong”, “bait was scarce”, “water was too hot”, “should’ve been here yesterday”, etc. Go ahead and admit it, we’ve all used a few of those at one time or another (myself included)! 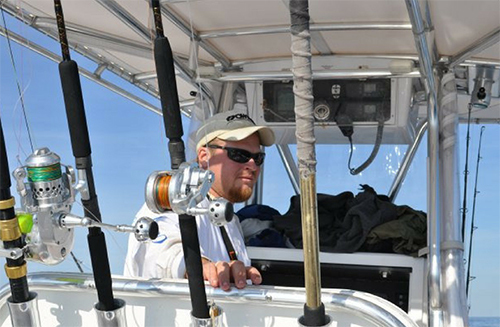 Don’t throw your rod in the water just yet, simply check the tide tables before you leave on your next trip. Tide stage is often overlooked by many people, but it’s utilized daily for those of us looking to put fish in the boat for dinner! Tides are created by the forces of the moon, sun, and rotation of the Earth. In North Carolina we have 2 high and 2 low tidal flows each day. They are about 6 hours apart and a little later each day than the previous. Our tides usually add or subtract about 4’ to our regular water levels, wind and moon phase of course altering that number a little. For about 5 hours the water comes in through the Inlets, fills in the marshes, rivers, etc and reaches its highest level. About an hour of slack occurs at the top, and bottom, of each tide. Then the water will be slowly pulled back out of the rivers, marshes, inlets and back offshore for the next 5 hours or so before the cycle repeats. Moving water (incoming or falling tides) is beneficial for feeding fish. 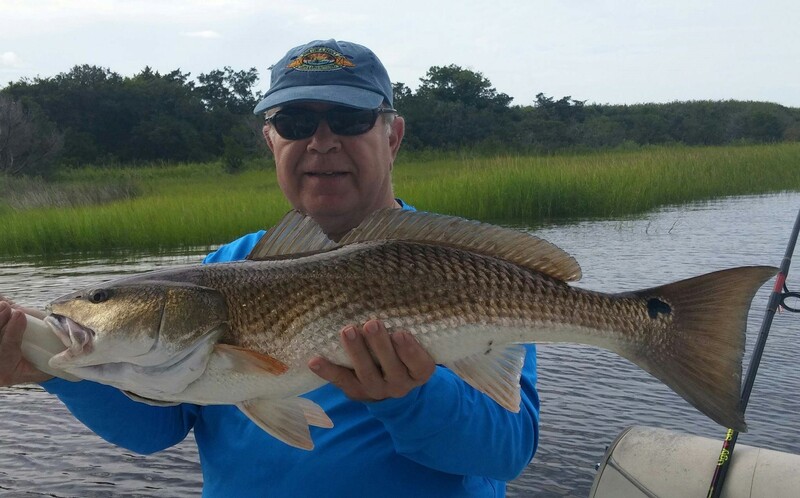 It moves bait around, alters water levels among structures which will provide larger fish an ambush point, and brings in salty, clean water to flush the diluted, tanin-stained inshore creeks and rivers to keep them an ideal brackish habitat. As a matter of fact, falling tide happens to be my most rewarding. 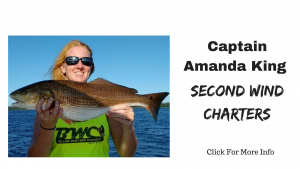 Here’s how I use our tides to my advantage and increase my catches, both in-shore and off the beach. Falling Tide: Redfish, Flounder, and Trout will stage up knowing that when the tide falls, it will flush smaller fish (ie: shrimp, minnows, finger mullet, etc.) out of the creeks and flooded grasses to them for an easy meal. Larger fish are not going to waste their energy roaming around trying to find food. They’re smart and will use moving water to their advantage. Redfish will swim into the grasses as much as possible searching for hiding crabs, shrimp, or fish to eat, displaying their tails as they search with their heads along the bottom. Flounder will get right up along the structure, whether it be a creek mouth, grass bank, or oyster reef burrowing themselves a little along the bottom. Both their eyes are positioned appropriately on the top of their flat bodies searching for a fish to swim past them. Trout will hold at the edges or ends of current flows around oysters and creek mouths and swim a few feet off any shell or grass banks looking for baitfish being pushed out of hiding by the tide. And as the final hours of the falling tide approach, these fish will begin to move to deeper water, creeks, or ledges nearby. To fish a falling tide, or any tide, think like a fish – you need to eat but you don’t want to waste energy fighting a current/wind to get food. Position yourself so that you are fishing with the water flow. On a falling tide, start out further up the creek and work your way back out. Slack Tide: During the hour or so of slack tide, when the water is at its highest or lowest and not moving, again, these fish won’t work too hard to search out a meal. Can you catch fish at slack tide? Sure! But you stand a much better chance as that water is moving and baitfish are active – making them easier to ambush by bigger fish. Incoming Tide: Like clockwork, the water will slowly begin to return and the tidal fishing cycle starts in reverse. Fish will come out of deeper holes nearby and make their way back towards the exposed structures which are gradually becoming covered in water again. 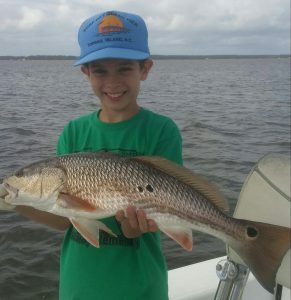 Redfish, Trout, and Flounder will catch a bait as it’s swimming back into grass islands, creeks, around oysters, along shell beds, etc. Position yourself to fish the water flow and bait coming in (ie: start at a creek mouth then work your way further up the creek as water fills it in). Tides play a role not just inshore! If you’re off an Inlet looking for Spanish Mackerel for example, start trolling by the jetties/channel as baitfish are being brought back out to sea. Move as the tide recedes. Cobia will also swim along the visible, frothy, color-changing tide line right off the beach as well. Incoming tides push cleaner, saltier water into the ICW, nearby marshes and creeks and this can make fish bites turn on in those areas also! Tides play vital roles in the ecosystem as well as regulate fish feeding. Check your tide tables if you aren’t currently doing so! They are online and in any app store. Water movement WILL aid in your decision of where to fish, so there’s one less excuse you can use next time!